by now way been replicated for the average golfer. The good news is that means that there is a ton of potential available to you. 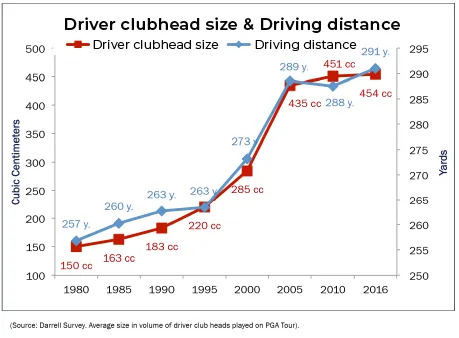 Using perfectly fitted, larger-headed, longer-shafted drivers, the best players have a 15 – 20% yardage gain. how big an improvement you could make. an improvement in setup; or the sequence of the downswing; produce that 10 – 15% improvement.